during certain passages of the music. He knew and anticipated these passages. third place at the Los Angeles Cello Society Competition for the 16-year-old-and-under category. 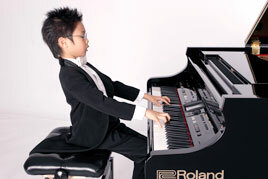 young pianists that takes place every four years. Shortly thereafter, he began studying under Dr.
speech in support of classical music. virtuoso Vladimir Horowitz' piano to inaugurate the Steinway Historical Piano Tour. Brilliant Brain" (U.S. title: "Brain Child"), a BBC National Geographic documentary featuring Marc. 2009, at Vienna's Musikverein and at Carnegie Hall in New York City. Marc is a piano student of Dr. Aleksei Takenouchi, and is learning orchestra conducting with Dr.
Jeffrey Bernstein of Occidental College in Los Angeles, California. Marc Yu is a seven year old like no other. While his friends are putting on their pyjamas to get ready for bed, Marc gets dressed for a classical concert, but not to watch, he's going to play. Marc can play more than forty classical pieces from memory. What is it that makes gifted children so special? Do they just work harder than others or are they born with brilliant brains? Marc has been invited to play an audition for Vassily Sinaisky, a world-famous conductor, at the LA Philharmonic. Maestro Sinaisky has seen talent come and go, getting the man's ear for ten minutes is a rare privilege for anyone, let alone a little boy. Professor Ellen Winner, a developmental psychologist, has spent the last fifteen years studying gifted children. 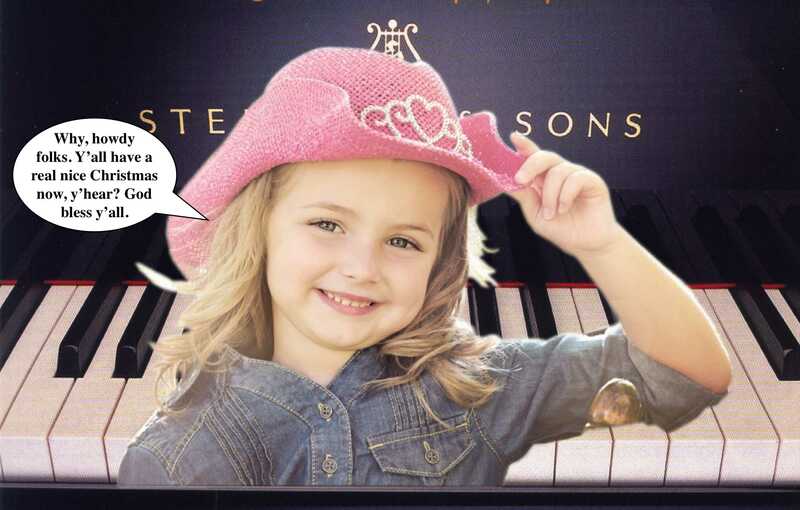 When she asks Chloe, Marc's mother, when she discovered his musical talent, she is told t6hat Marc had been at a birthday party when he heard "Mary Had a Little Lamb". He came home and played it on the piano. He was two years old and had never had a piano lesson. To say that Marc Yu has a propensity for music is a massive understatement. His whole world revolves around it. He practices for up to eight hours a day, seven days a week and says he loves every minute of it. What started as a propensity has now grown into an obsession. Marc reaches a landmark in his young life. A little over eight years old and his fingers are finally long enough to span eight keys on a piano. Bernstein: "He's passed this milestone of playing an octave, which for an adult is a trivial task, but for Marc it has been a goal for a long time". Now the world of grown-up music beckons, but as he gets older he will have to meet quite different expectations. 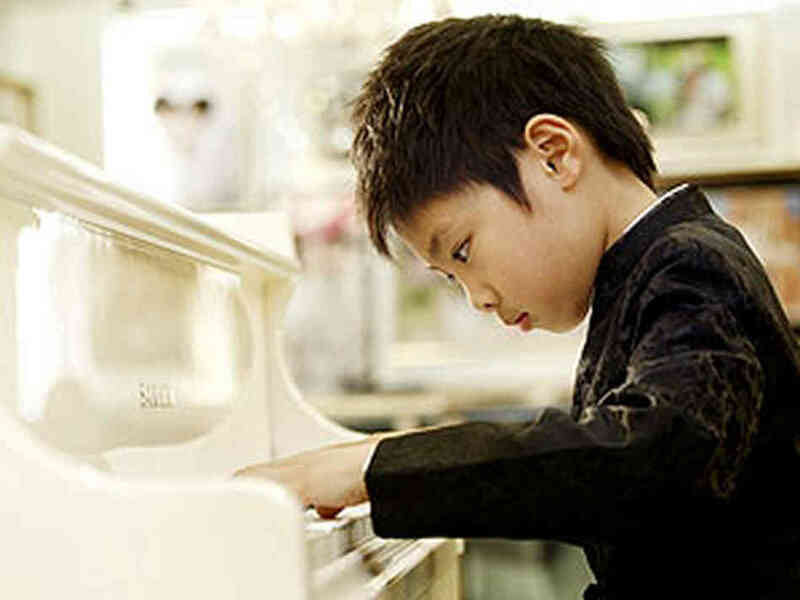 Lang Lang is is one of the biggest stars in classical music today. 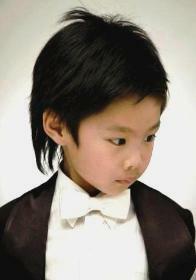 He started playing the piano, in China, when he was three years old. Now, he fills concert halls all over the world. 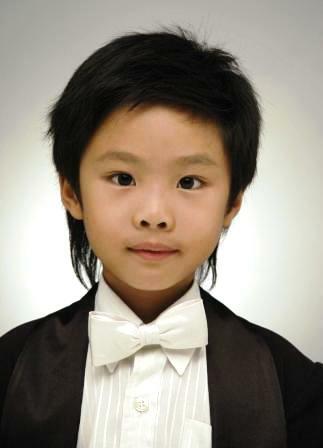 Lang Lang is the man Marc wants to be when he grows up. Marc is very fortunate, he has been invited to meet with his hero, he has been invited backstage for an audience with Lang Lang. They've met several time before and Marc almost dares to call Lang Lang a friend. Lang Lang is determined to support Marc in any way he can. 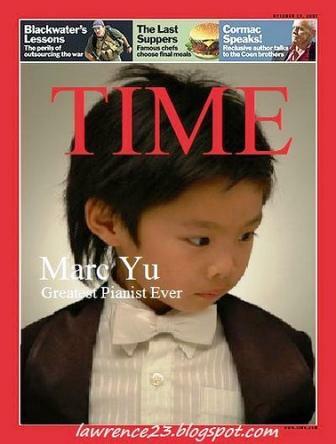 Today he has something very special to tell him; he would like Marc to play Carnegie Hall with him in 2009. 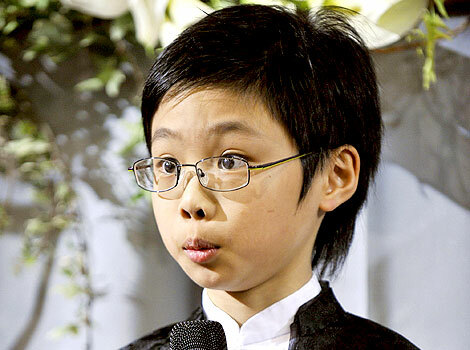 At just eight years old, Marc Yu has already left an indelible mark in the world of classical music as its newest young prodigy. He started piano lessons at age 3, and has gone on to perform at some of the most prestigious venues in the U.S. including the Hollywood Bowl, Disney Hall, and Town Hall in New York City. He has been a soloist with six orchestras, and has also performed on the Jay Leno, Oprah Winfrey, and Ellen DeGeneres shows. Marc was featured in the recent National Geographic documentary entitled “My Brilliant Brain,” which poses questions about the origins of genius. Marc’s performance schedule continues to fill up, and includes his upcoming Carnegie Hall debut. In Sept 2008, Marc Yu and his mom travels to Paris after the Royal Albert Hall performance. During their vacation, they took the Eurostar train to Paris and found the place where Chopin was buried. They stood by his grave to give respect to this great composer. 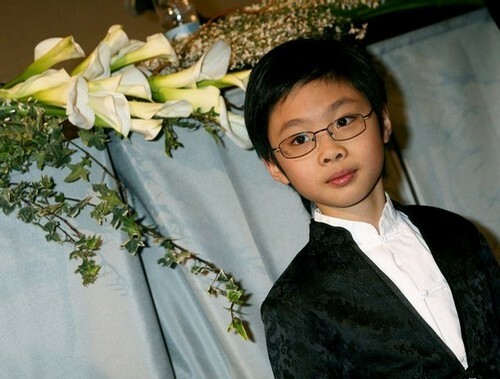 9 years-old Marc performed the Beethoven Piano Concerto No 1 with the California Philharmonic on Feb 16 2008 at the Ambassador auditorium. Marc, at 7, was featured on the Ellen DeGeneres show. He played a contemporary piece whose composer was not yet decomposing. He told his jokes and was being that adorable boy, as always.